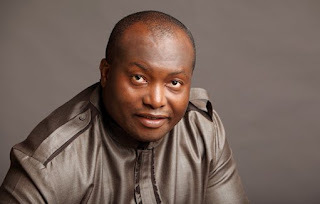 Senator – elect for Anambra South, Dr. Ifeanyi Ubah, has said it would be stupid of him to join the ruling All Progressives Congress (APC); when he has not been inaugurated and with cases challenging his victory still at the tribunal. Social media had been on fire since Monday night, when the only senator elected on the platform of the Young Progressives Party (YPP), Ubah, was sighted at a dinner with President Muhammadu Buhari, the APC national leadership, senators-elect and some governors elected on the party’s platform, at the Presidential Villa. But, yesterday, Ubah engaged various groups, both on social and traditional media, where he emphatically denied joining the APC. He had been sighted at two media parleys with the Senate Leader, Ahmad Lawan and other APC senators. At the weekend, in company with Lawan and other APC senators, he visited some interest groups in Lagos; including the leadership of the Auto Spare Parts and Machinery Dealers Association (ASPAMDA). In his reaction to Igbo Bu Igbo Foundation, a think tank of Igbo professionals; Ubah insisted he has not defected from his party but instead, was ‘caucusing’ with the APC.